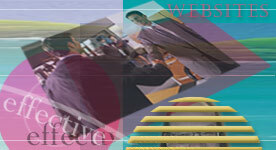 We have created award-winning websites. We have been commissioned to create, extend, and upgrade websites for renowned organizations and outstanding individuals, such as Kaiser Permanente, the largest non-profit HMO in the United States; or Adrien Arpel, the acclaimed cosmetics and skin care line; or Ed Kowalczyk, the lead singer of the rock band, Live, who won Billboard's Rock Artist of the Year award in 1995. Click here for our portfolio. The sites we market often have both the traffic to their site and their site's response rate increased anywhere from 100% to 1000%. Our president is Dr. Chris Tong (winner of the 2002 National Leadership Award), who has had twenty years of experience on the Internet, and has been recognized by peers and clients alike for his accomplishments in providing web services, and his accomplishments in computer science altogether. "Business card" websites run anywhere from $150 to $3,000. These websites contain basic information about you and your business or organization. But they do not involve selling products (via ecommerce) or any significant custom programming. They are attractive, but in general do not involve extensive custom graphic design (particularly those on the lower end of the budget scale). the number of rounds of website refinement required to converge on a site you are happy with. "Perfectionism" can be quite costly! With your budget in mind, we encourage a different approach to design that we have found is cost-effective and produces a site that is "good enough". Large-scale websites � Our large-scale sites vary widely in their design and function. Most, however, have hundreds of pages (and often hundreds of products), and most have some significant part of the site automatically generated from a database (rather than entered by hand). This saves on design costs and enables you to have a non-programmer on your staff enter new information and make revisions. Such websites usually range from $10,000 to over $100,000. Tell us what you have in mind! If you are one of our prospective international clients, you may wish to see what these prices look like in your own currency by using The Universal Currency Converter�. We approach each website differently, in a manner that is sensitive to the materials and preferences you provide, and is informed by our marketing savvy for creating the most attractive and effective website. Because of this sensitivity to your needs, we first determine with your help what kind of a website would best serve your interests, and then create low-end and high-end estimates, that describe different options, bells, whistles, etc. for you to consider, and the corresponding price tags. These are estimates, well-informed by our experience in creating a wide variety of websites, and that allow you to go to your company with a proposal or bid. When you sign on with us, we then "team up" with you, so that you can achieve your goal of coming in at that estimate or close to it, and we can achieve our goal of getting paid for every hour of work we put into the endeavor. Working with an overall "budget" that is broken down into the various website design tasks in our estimate, we jointly make decisions such as "put more time into the front page graphic to get it exactly right; and take that time out of beautifying the 'colorful information' section." top-notch, award-winning graphic design -- click here for some examples. E-commerce services. We offer the full suite of e-commerce services, ranging from shopping cart / e-commerce software, to secure order pages, to real-time credit card processing. CLICK HERE for more. A Gallup poll from February 23, 2000 reports that 88% of Internet shoppers use credit cards for their online purchases. Web copy writing and editing. The best design in the world won't help you if your copy is weak. Web copy writing and editing is an art form unlike most other forms of copy writing. Unlike most other forms of promotional media the web does not lend itself to lengthy company histories, product details and services. Most clients do not want to read swathes of text, which is why web copy writing is so important. Your web site has only a matter of seconds to convince the viewer to stay on your site. There are editorial and layout considerations on how much copy is enough or too much. In what instances and where should "teasers" be placed on the home page that takes visitors to a detail page? How should the copy be broken down? How many links or sub-links should be created? Should the copy scroll down a whole page or go to secondary pages? What fonts should be used for the headers, sub-headers, and body text and in what sizes? The copy writers at have years of experience in writing for the web for a multitude of business sectors and varying target audiences. They are experts at providing snappy copy to entice and sell. Browser and monitor compatability. One of the strange facts of web life that surprises many who are new to web design is that, unlike a magazine ad, the same web page does not necessarily look the same if you look at it on a different monitor, or through a different browser! This poses quite a headache for web designers, because in some sense they are designing many different websites all at once. Our web designers keep track of the latest statistics about what percentage of web surfers are using each type of browser (Internet Explorer, Netscape Communicator, AOL, etc. ), how many people are using each size of monitor (15", 17", 19", etc. ), and so forth. If design tradeoffs are necessary, we design the site to look as good as possible for the most possible viewers. Optimizing your site. Web page loading time, readability (remember, most of the huge "baby boomer" generation is now at an age where an "easy reader" website is a definite plus. other important measures. Flash animation design. It's cool. . . It's hip. . . Everyone wants to use it on their site. Used in limited fashion � so you don't slow down the loading of your web pages, and you don't mess up your search engine promotion � it can be very effective. Newsletter / mailing list maintenance. Because most website visitors need 5 visits to a site before they make a response (for example, a purchase), the site needs to be constructed so as to help draw them back again. Getting them to bookmark your site (and helping your bookmark stand out through use of custom icons) is one important aid. Even more important is attracting people to add themselves to your opt-in mailing list or to subscribe to your free newsletter. You will then be in a position to entice them back to your site repeatedly, through notices of new products, specials / discounts, interesting articles, etc. Your opt-in mailing list, you will discover, is one of your most precious commodities. It is a targetted market of people who want to hear from you! If you are going to do mailings, you will want to enable people not only to add themselves to your mailing list, but to remove themselves from it. That way your mailings never become spam � unsolicited "junk" email � for anyone. Also, in several states, enabling people to remove themselves from your mailing list is now part of state law. A good idea: Provide a policy statement that assures would-be subscribers that their email address will be held in confidence by you, willnever be sold to another party, etc. makes maintaining your mailing list easy! Your mailing may involve merging several mailing lists. For instance, you may want to send the same mailing to the people who signed up for your newsletter, to customers who made purchases, and to people who signed your guestbook. Your mailing list may contain duplicates. Someone may sign up twice. Or when you merge two different lists (your newsletter subscribers and your customers), you may end up with a lot of duplicates that need to be removed. No one likes getting the same email message more than once! Your mailing list may contain invalid email addresses. You may want to send a "text only" version of your mailing to people with "text only" mail programs, and a full html" version to people whose mail programs have no problem displaying messages with images, fonts, colors, etc. You may want to personalize your messages ("Dear Matt"). It is well-known that the use of a person's name is one of the most effective means for catching their attention! You may want to send personalized mailings, whose contents depend on preferences checked off by the subscriber when they originally signed up. As you can see, "intelligent" mailings can be quite complex. does the work for you! You will want to provide publicly accessible material to some of these groups (such as your end customers), while you will want to create special, private "intranets" for others. It pays to organize your site so that it is divided into distinct sections for distinct groups. We can help you organize you site in an easily navigatable fashion. For those of our clients who host with us through (the hosting branch of Enchanted Websites), we can set up special "subdomain names" (sometimes called "vanity names") for these sections, such as: shopping.mysite.com, retailers.mysite.com, etc. Forms of password protection vary, depending on your needs. For instance, one login and password might suffice for everybody; or you might need to assign distinct login names and passwords to each visitor. to take an earlier-generation "look" and update it to the contemporary "look" of current-generation websites. to replace amateur web design efforts with professional results. to marketize the site, that is, to optimize the site for such online marketing purposes as effective search engine promotion. to optimize the performance of the site (for instance, reducing the size of graphics to get the pages to load quicker). On-site search engines. If you have a large site, then no matter how good your site organization and section menus, and no matter how comprehensive your site map, visitors will still come looking for things that won't (easily) be found through either. That is where on-site search engines come in: visitors type in a phrase, and they get back a listing of all the pages on your site that match that phrase. It is something like using Google or Yahoo, but the listings are restricted to be your own web pages. Multimedia processing. Got an impactful video clip of your president speaking, or introducing people to the site? Or, got a representative clip from a member of your customer service staff? If converted into digital format, and posted for play on your home page (or another important page), such clips could pack a powerful, personal punch. Our multimedia processing services include: conversion of offline multimedia (audio or video) into a digital format (such as RealAudio or RealVideo) for use on web pages, audio or soundtrack processing, video editing, animation design, programming media to play automatically when a page loads, etc. Creation of minisites. Sometimes the best way to augment your current traffic is to build one or more additional "minisites", that are smaller than your "main site", but are highly focused around a particular topic. Ideally, the minisite has its own domain name, chosen to reflect that topic. creation of email addresses (or email aliases) to direct responses to your site to the appropriate parties. creation of autoresponders that automatically send email messages in response to: a request for information; a sign-up for a service or mailing list; etc. Even if you are hosting with someone else, we may still be able to perform some or all of these services for you. We regularly research the available options, and can recommend the service that is right for you. Generally these services require installation and/or configuration, which we are happy to do for you. 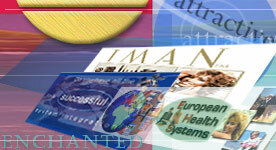 Creating new web pages or optimizing your existing web pages for effective search engine promotion. See our marketing services page for more details. Frame removal. If a person moves to a different section of your site, and the "navigation bar" (the menu of sections) stays fixed, while the rest of the screen changes, then you've got frames. Framed sites can be invisible to search engines spiders. The spiders that cannot follow frame links never see the content pages that human visitors see. They only see the frameset page itself. The best answer to this problem is for us to redesign your site so that it doesn't use frames. If that is not possible, we can have add information to certain of your web pages to make your site more search engine friendly. Conversion of splash pages into search-engine friendly home pages. While splash pages � that is, opening pages that make a "splash" by being heavy on graphics but light on content � can be very nice and aesthetically pleasing to the eye, they are not very helpful when trying to place your site with search engines. Because splash pages are heavy with graphics but light on content they are difficult for search engines to spider. Search engine spiders are looking for links and content to evaluate. If your homepage is a splash page with no content you are basically telling the search engines that there is nothing to see on your site. Filename selection. We select filenames for your web pages, graphics, etc. that are most conducive to search engine promotion. Domain name selection. Your choice of domain name has a strong impact on search engine promotion. Did you know that you are not limited to just one domain name for your website? You can have one domain name selected for human beings (based on catchiness, memorability, brevity, etc. ), and another (or several) selected for effective search promotion. Custom icons. These days more than 95% of all web surfers use Internet Explorer. If you look at your bookmarks � or "favorites" as they are called in Internet Explorer � you will see that most of them have a little "E" graphic to their left (the default Internet Explorer graphic). However, a few smart companies have bookmarks that stand out from the rest of the pack because they have their own custom "icons". We can create a custom icon for you! Now try the following experiment: Bookmark this page. If you look at your favorites list, you'll see our little icon next to our bookmark. It's a great way to make your bookmark stand out from the crowd, and relatively few online businesses are aware of this device. But as an added bonus, you will notice that (after you have bookmarked this page) the little icon will also appear on the left side of the address window containing this page's web address. Just one more way to make your site stand out! Appropriate tradeoffs between "flashiness" and effective search engine promotion. Search engines use the text on your page for their ranking determinations. If your site is filled with Flash animation or if your text appears as a graphic the search engine spider will not see it. Rich media enhancements like flash look good to human visitors but they are invisible to search engine spiders. Splash pages tend to have the same problems. We help you arrive at appropriate tradeoffs between using "Flash" and other advanced technologies (or using splash pages) and effective marketizing of your web pages. Unfortunately, most search engines do not recognize the "?" and "&" characters that separate the cgi variables in this example. This means that some (or even all) individual product pages will be missed by the search engine spiders. One way to prevent this problem is to create static versions of your site's dynamic pages for search engines to crawl. Another option is to use the Dynamic Page Optimization Solutions available for ASP, ColdFusion, CGI/Perl, or the Apache Web Server. We offer several options for supporting the inevitable and necessary changes you will want to be making to your site over time, as you: add or remove products and information, change prices, etc. ; expand your company's identity in new directions; change the style and technology of your site to keep up with the rapidly evolving state of the art; and so on. We make the changes for you. Just let us know what changes you'd like to see and we'll be happy to make them. We charge the same fee as for website design and pro-rate accordingly. (I.e. if a change takes 5 minutes, we charge you for 1/12 hours of labor, at the appropriate hourly rate for that service). You identify a web page you want to modify, via your web browser. You download that page to your hard drive, using the "File / Save As" command. You get into your favorite web page editor (e.g., Microsoft FrontPage), and make the changes to the web page file. You use an FTP (File Transfer Protocol) program (e.g., WS_FTP) and your FTP access information to connect to your website and upload your modified page file to your website. Advantages: You get to edit your own pages! Disadvantages: You have the potential to mess up your site in a big way if you are not careful. Also: If you make changes, and then you want us to make changes later on, we will have to re-download your site, to update our copy of your site to be your latest version; that is an extra charge. Recommendation: This option is great when used with care, and only for small, straightforward changes. We build an interface for you that allows you to make changes directly to your web pages or create new pages. In general, this is cost-effective for you if you have a large number of pages that all have the same form (e.g., all your full page product presentations have the same form, say, a title at top center, a product picture and a brief description in the next "row" of the page, an extended description after that, etc.) Based on such a template, we can then create a form-based interface that allows you to fill in the various "sections" of a new page, or modify sections of an existing page. Contact us for more information if you are interested in this possibility. We convert your site into one that is (largely or entirely) database-generated. This is the approach standardly taken by the major sites on the web. Clients with large sites and frequent changes generally find it worth the overhead to convert their site into one whose pages are mostly or entirely generated from a database. As just one example of many potential benefits: this could enable your staff members (who are not web programmers) to add new products themselves, using a web interface. Running the page generator will then automatically create a new page for that product that matches the style of your database. Villas International -- Everything from the multi-level geographical pull-down menus, to the regional listings pages, to the individual property pages is generated from databases. Natural Health Yellow Pages -- Everything from the trade directories, to the product directories, to the news article archives of this industry portal site is generated dynamically. It requires significant overhead to make such a conversion, but the savings in labor over time (not only in total hours, but also in skill level) can be enormous.